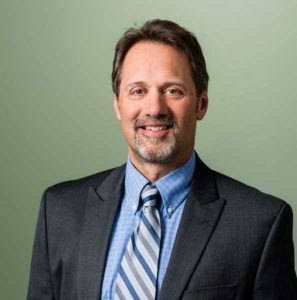 A Pittsfield, Maine native, Paul joined the Bangor office of S.W.COLE in the spring of1985 as a geotechnical engineering and materials testing technician. After receiving a B.S. in civil engineering from University of Maine at Orono in January of 1986, he was promoted to the position of geotechnical engineer. He moved to the Gray office in 1992 and was instrumental, along with Bob Chaput, in its success. He was named office manager of the Gray office in 1993. Several years (and several promotions) later, he was appointed President and Chief Executive Officer, and chairman of the S.W.COLE Board of Directors, in 2009, a position he held until 2014. Now Senior Vice President of the firm, Paul’s duties include project management, client and business development and contract and report review. Paul has experience with specialized investigations and foundation work in heavy industry, including piling, rock anchors and underpinning, and, in the last ten years, he has managed much of S.W.COLE’s large wind and transmission project work. He particularly enjoys projects that involve forensic engineering.